I was lucky enough to win this gorgeous Christmas wreath, but unfortunately it wasn’t suitable to hang on the front door. So instead, we’ve sat it in the garden where we get a better view of it! 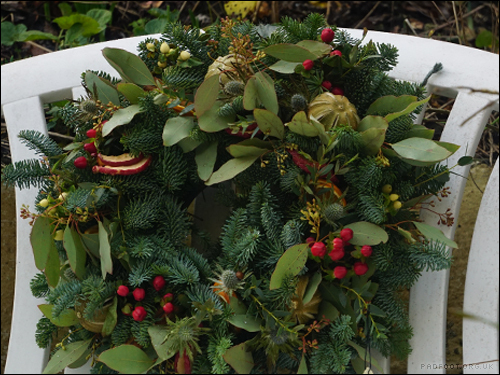 This entry was posted in Dragon Goes Wild and tagged #StayWild, Christmas, flowers, natural, Plants, Wreath on December 25, 2018 by Dragon. I’ve been actively seeking out some “wild” in areas you might least expect, and one of those was in a recently repaired wall. 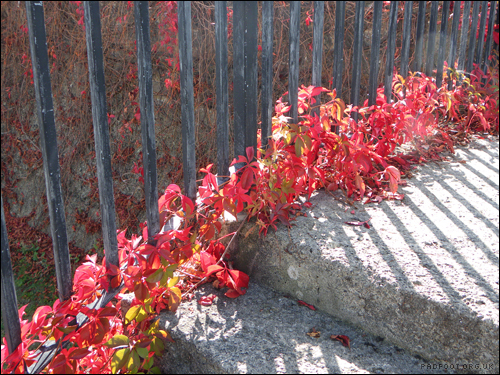 Previous years have seen the wall covered with a Virginia Creeper, with the leaves turning a vibrant red in the Autumn. The wall was recently replaced, which I assumed would be the end of the plant, but it would appear the Creeper had other ideas. Just on the edge of the original wall and the new addition on the top, there’s a few leaves peeking out, so maybe this Autumn will see a vibrant red display again! 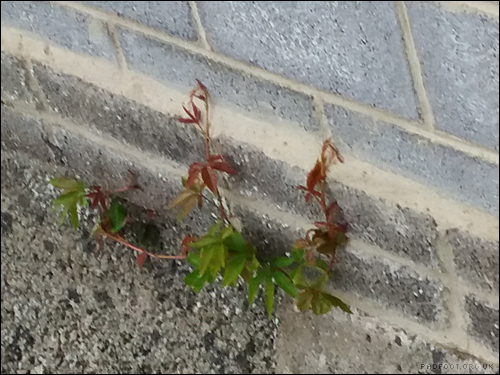 This entry was posted in Dragon Goes Wild and tagged 30 days wild, Plants, Urban, Virginia Creeper on June 12, 2016 by Dragon.